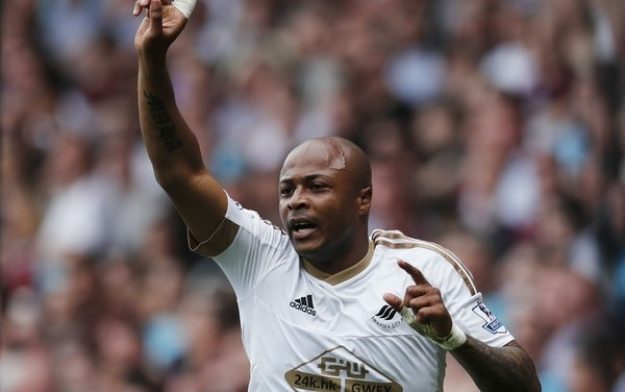 Andre Ayew says that his father Abedi Ayew was more skillful than former Super Eagles skipper Austine Okocha. Though the Swansea and Ghana star admits that both players had different styles of plays, he claims Abedi who was named African Player of the Year twice was more skilled with the ball. “I will say Abedi Pele is more skillful,” Andre said on a Ghanaian radio show Starr Chat on Wednesday. “He had a lot of skills even though their style of play was different. He showed a lot of technique and a lot of finesse in his game. “And also I saw all his games, I also saw Jay Jay Okocha; he was my generation. It’s sad that he never won the African best player; football is like that,” he concluded. During Abedi’s 16-year career with the Black Stars, he scored 33 goals in 73 appearances and won the 1982 Africa Cup of Nations. ‘Jay Jay’ Okocha on his own part scored 14 goals in 75 games for Nigeria and during his international spell won the 1994 Afcon, 1996 Olympics football gold and was named BBC African Footballer of the Year twice.